Good God, Shopify knows how to put on a conference for their partners and developers! It was by far the best work conference I’ve been to in my career, and I’ve been to my fair share throughout the years. 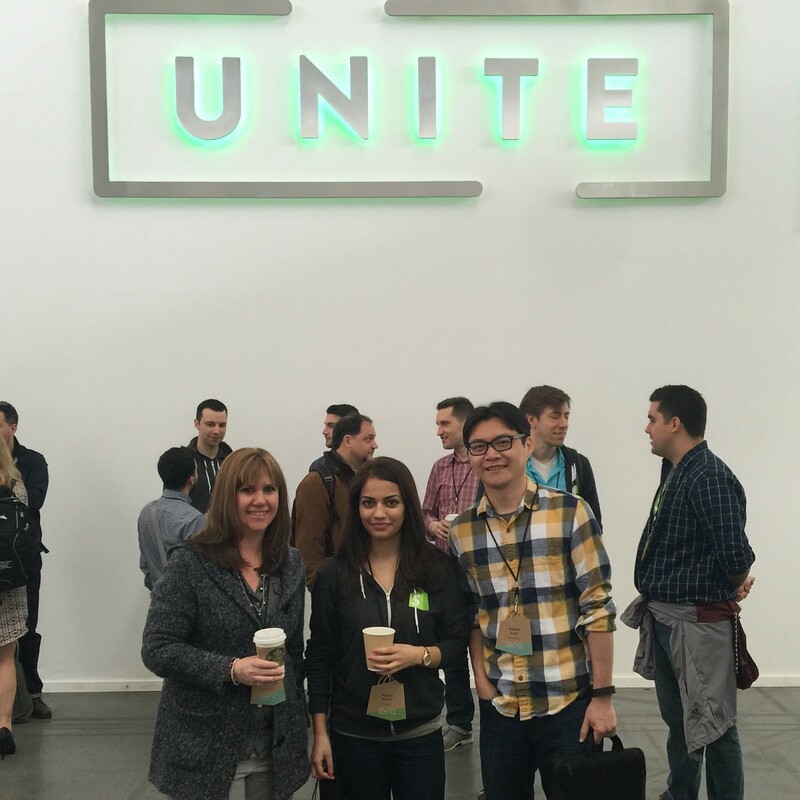 Several months ago, I received my very first email inviting me to “Unite” with other fellow Shopify partner and developer enthusiasts — the first ever conference that the company has put on (and certainly not the last!) to be housed in beautiful, tech-centric, San Francisco. As ecommerce developers at TheGenieLab, we have wanted to start our conference circuit this year, and what better way to do it than a Shopify event in a fantastic city. Prior to the event, I confirmed with some of my colleagues and friends who were also planning on attending the conference just so I wasn’t wandering around on my own. As it turns out, everyone was a no show, and I was in fact on my own for all of a few hours prior to the first night’s mixer. I arrived in San Francisco during Monday afternoon with just a few short hours between checking in and the first night’s mixer hosted by Shopify. This particular night was a smart decision to have tiny digestable breakout sessions, as they decided to have several of these mixers throughout the city to keep things quaint and give everyone the opportunity to meet some folks in the Shopify ecosystem. That night alone, I met some ever-lasting connections! 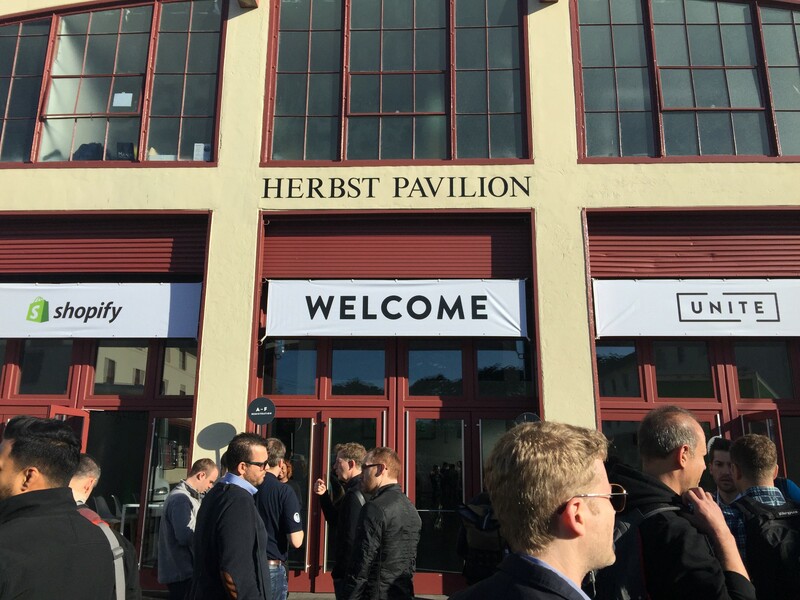 Tuesday was day 1 of the conference where around 800 people gathered outside of the Herbst Pavillion awaiting the doors to open. 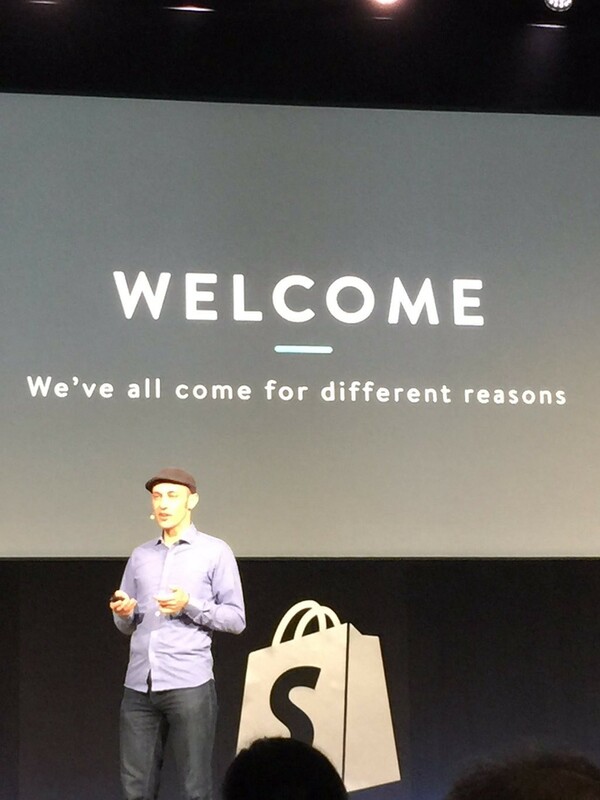 The build up was magical and by the time Tobi Lütke, the CEO of Shopify entered the stage directly after COO Harley Finkelstein, the energy in the auditorium was explosive. Tobi started out by considering his audience, us — the developers & partners that make up the Shopify ecosystem. And he uttered the exact words that I have been saying for the past year and a half of being in this space, “Opportunity is Everywhere.” He had me at that line alone, but it is so true. This is the first time in a very long time in my sales career that the opportunities are endless. We can decide who we want to work with, and how, to the most part. What a great space to be in, and a tremendous feeling to know that door openings are filled with endless opportunities. He went on to discuss how Shopify does not approach revenue as the primary source of the business. He understands that by building the platform and feeding it’s ecosystem (developers, partners, etc.) - keeping that as the focus — leads to the revenue. I was sold. Kool- aid was drunk. And the rest of the conference continued to hold court. I’ll save the exact details which include the updates discussed, but suffice it to say, they were nothing short of mind blowing! You either watched the live stream, were there, or I’ll leave it to Shopify to announce what they want to, but there were many a chill up and down my spine throughout the day 1/2 of being submerged in all that is Shopify; specifically related to Shopify Plus. Full disclosure: I am not ecommerce platform agnostic like the rest of TheGenieLab team. I am a bonafide Shopify fan-girl enthusiast. My take away from the conference is: You will all get there too -whether it be today, tomorrow or in 5 years from now, they are crushing the competition and are really carving out a ‘league of their own’ badge to where no other will be able to catch up. Just from a social commerce standpoint, they are the only platform that is TRULY multichannel. (burp, ‘scuse me, Kool-aid). 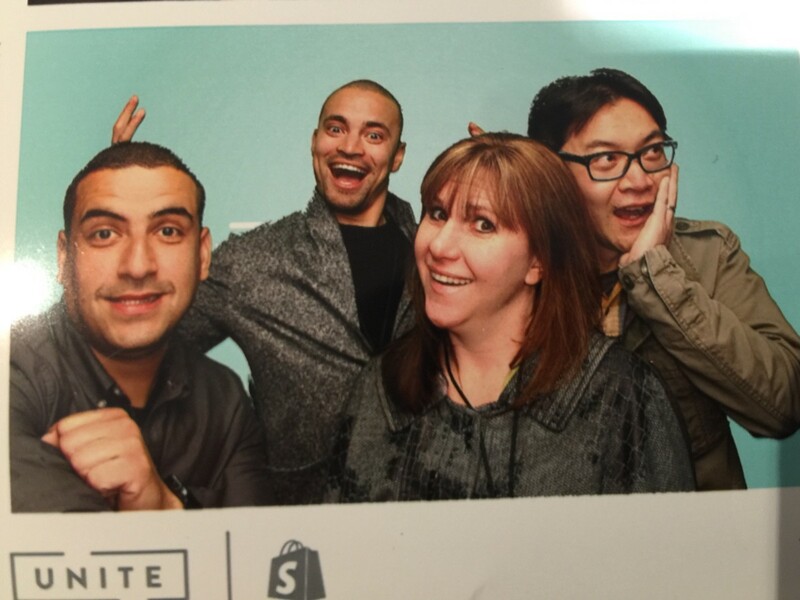 Right after I checked in and received my Shopify Unite badge, I met my first Unite ‘squad member’ (pictured to the right of the Shopify member in the middle). After entering the ladies room, I collected our second squad member, and by lunch we had our 3rd. By the time the evening’s happy hour rolled around, we had our final member of our newly formed Shopify Unite Squad (all of whom are pictured below besides the other female Loretta). If you know me at all, you know that I can make best friends with your shoe in under 10 minutes, but I will say in fairness, you do not need to be as extraverted as me to make friends easily on your own at this conference. The Shopify After-Party hosted at Verso sponsored by MailChimp and PayPal was met with a special DJ guest, who happens to be one of my lifetime heroes, DJ Z-Trip. Could this get any better? No is the answer. Day 2 was a AMA with Tobi Lütke in the morning, along with some breakout sessions, with the day ending around 2pm. 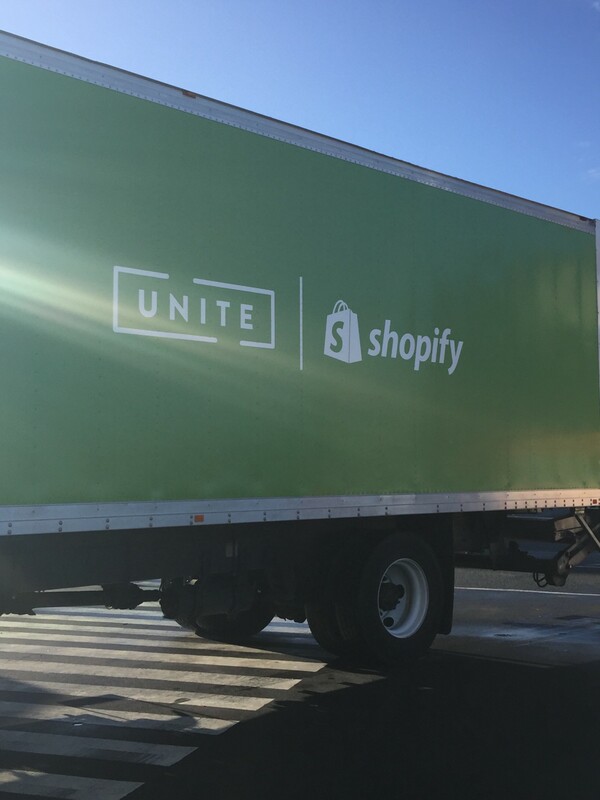 The highlight for me was getting my swag from the Shopify Unite truck (VR Cardboard anyone?) 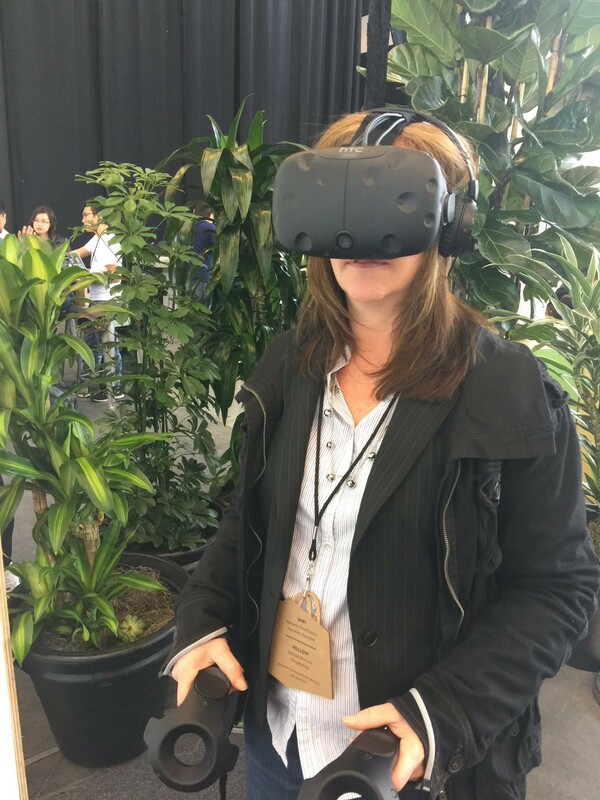 as well as playing around with the soon-to-be released Vive virtual reality experience. Soon, we will all be shopping in a virtual shopping mall picking out our items with our own hands (as the controllers), and placing them right into the shopping cart. It’s coming people, get excited! And what better way to round out such a successful trip of connecting, collaborating, and learning with other Shopify developers and partner enthusiasts? Quite simply put, on a boat (cue T-Pain), touring the waterways under the Golden Gate Bridge hosted by one of TheGenieLab’s partners, BrightPearl. Thanks guys, that was a brilliant idea, and a blast to experience. Shopify stories in the words of our partners, friends, and community.